Adam and Eve find themselves in a bind. Their God, their protector, their benefactor, not only has expelled them from their home in paradise; He also has forbidden them to ever step foot on that hallowed ground again. And to extenuate the point, God placed Cherubim at the gate of Eden to make sure the two (and by extension, mankind as a whole) would not find entrance again. The Cherubim are fascinating creatures. 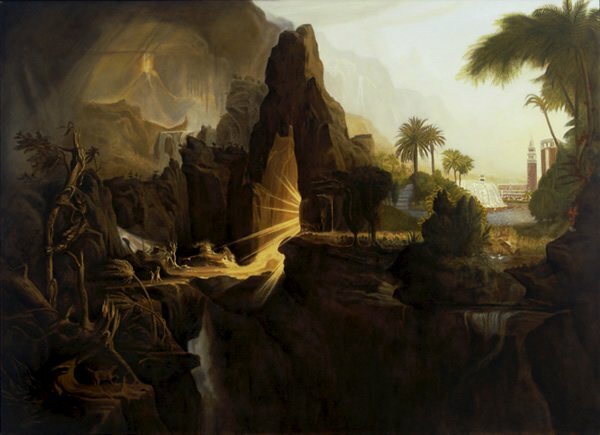 God later instructed Moses to place images of them atop the Ark of the Covenant, on either side of the mercy seat. The imagery here is obvious: as soon as Adam and Eve committed the sin of disobedience and introduced sin into the world, God immediately established a new form of worship. Man would no longer be allowed direct contact with The Almighty as he had enjoyed in Paradise. For now only the angels would congregate around God’s throne and bask in the glory of His presence. Where God manifests himself in a stated place, the angels would appear. As for man, it would take direct intervention by Jesus Christ before we could ever experience the Glory of God again. The Cherubim perform a specific task at the gate of Eden: By the flaming sword turning every way, or flame folding back on itself, we realize the formidable appearance these cherubim assumed. They assumed this fierce countenance in order to render the passage to the tree of life inaccessible. 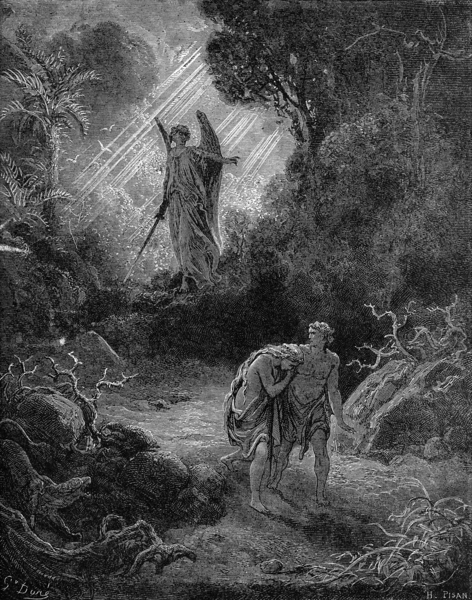 It is evident from the context of various Biblical passages in which the word “angel” appears that the word does not always represent the same idea. In this case it would seem that the angels represent superhuman beings whose duty it was to stand guard until God otherwise relieves them. This concept of “angels as guards” is similar to the jenei of the Arabs (from where we get our word genie). The Old Testament does not show any evidence that the Jews considered the Cherubim as intercessors between God and mankind but were closely linked in God’s glory. Manlike in appearance and double winged, they symbolized God’s power and mobility. In the New Testament, they it might be read that they will act as holy attendants in the Apocalypse. Catholic tradition describes them as angels who have an intimate knowledge of God and continually praise Him. 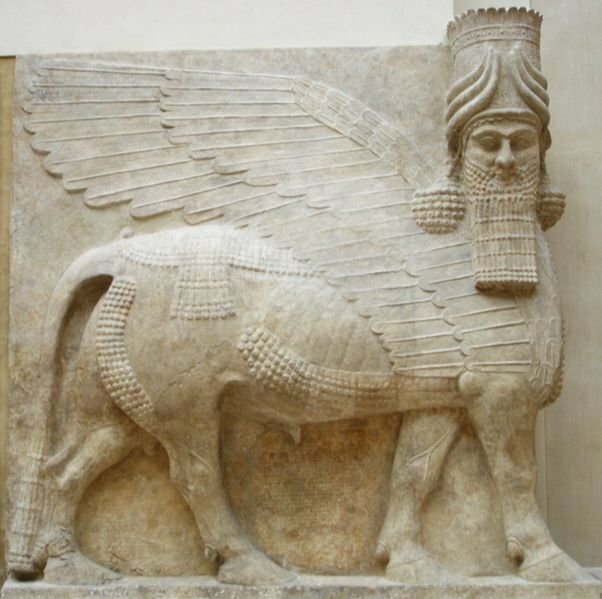 In their function as guardians of Paradise, the cherubim remind us of the winged bulls and lions of Babylonia and Assyria, colossal figures with human faces standing guard at the entrance of temples and palaces, just as in Egypt sphinxes guarded approaches to the sanctuaries. Some scholars do not believe the cherubim are actually guarding the entrance to Eden. 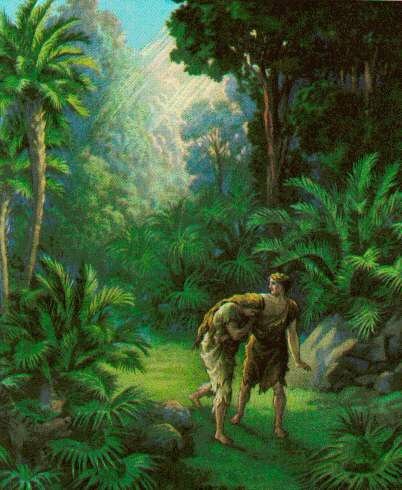 They believe the passage in Genesis indicates that God placed Himself at the Gate of Eden. His glorious majesty, or Shechinah, dwells there between the Cherubim. This idea is reflected in the construction of the Ark of the Covenant (specifically the Mercy Seat). 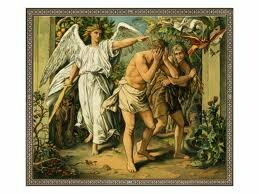 In other words, Eden represents the home of God, who resides at the Eastern Gate between the cherubim. In the Tabernacle, two cherubim of solid gold rested on the golden slab of the “lid,” or “mercy-seat,” facing each other, with wings outstretched above, so as to constitute a throne on which the glory of the Lord appeared, and from which He spoke. There were also cherubim woven into the texture of the inner curtain of the Tabernacle and the veil. 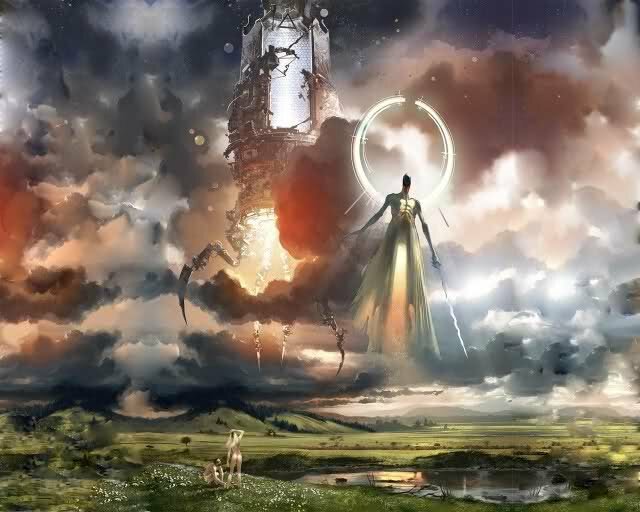 i say this is the truth rather I see eden as a vast empire in whitch adam and eve lived and disobeied God and as a Resault bannished from God’s Empire known as Eden. i rember In a vision I had their where Temples of The Archangels and Tolled By Archangel Michael this was a Gift to Adam’s People and one day if we repent for thoese how wold destory gods gift and abuse the power that he was gifted by the 7 Archangels and The Councel of 70 Teachers that goven Faith then “And Only then We will be restored in God’s favor to The Empire of the Garden of Eden. rember In a vision I had their where Temples of The Archangels and Tolled By Archangel Michael this was a Gift to Adam’s People and one day if we repent for thoese how wold destory gods gift and abuse the power that he was gifted by the 7 Archangels and The Councel of 70 Teachers that govern Faith then “And Only then We will be restored in God’s favor to The Empire of the Garden of Eden. And adam grave lays in the north east part of the empire god sent him to rest in peace in eden with the Vary Rose of That Eve sent in her Place in the Empire of the Garden of Eden she gave to Azriel this upon his death. Wow. I adore the paintings on your website. So wonderful. Take care everyone! I experienced this angel in my life, my husband and I was fighting. He hit me so hard he broke my nose.I thought he knocked my teeth out, it was so much blood, nevertheless this angel jumped across my face wielding the sword. After that I realized he broke my nose, but this angel is very huge wearing all white with gold around his waste and wrist, his sword is gold to moving so fast all you can hear is the wind.God later revealed to me the punch would have killed me. I have seen another angel wearing blue and red, he is fat and very loving. I know without a doubt, that God exists and angels are real. Not all are good angels some are petty imagine more then 4 children and they all want fathers love and atetion and they feel jealous and insted of love they fear that turns to anguish and jealous with hate.